Emily Maguire is the author of five novels and two non-fiction books as well as many articles & essays. Her latest novel, An Isolated Incident was shortlisted for the Stella Prize, the ABIA Literary Fiction Book of the Year and the Miles Franklin Literary Award. 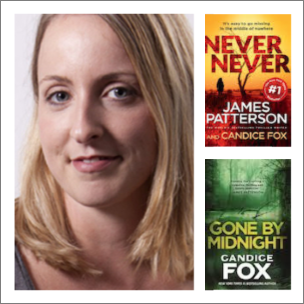 Candice Fox is the author of the bestselling Fall, Crimson Lake and Redemption Point, all shortlisted for Ned Kelly and Davitt Awards. Her first collaboration with James Patterson Never Never topped bestseller lists in Australia, USA and UK. Julie Sydenham has illustrated 12 books to date, including four with bestselling author, Di Morrissey. Julie runs her own art studio where she teaches classes and workshops in a variety of mediums, as well as creating her unique brand of art and illustration. Natasha Lester is the USA Today bestselling author of The Paris Seamstress, as well as Her Mother’s Secret and a A Kiss from Mr Fitzgerald. Her fourth historical novel, The French Photographer was released in March 2019. Christian White is an Australian author and screenwriter. His debut novel, The Nowhere Child, won the 2017 Wheeler Centre Victorian Premier’s Literary Award for Best Unpublished Manuscript, and has been published in multiple territories around the world. 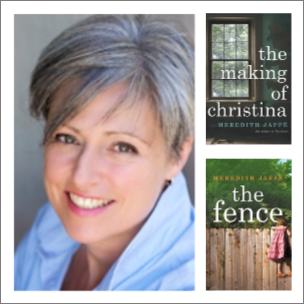 Meredith Jaffé is the author of two novels for adults - The Fence and The Making of Christina - and the first in a series for children, Horse Warrior. She is the Festival Director of Storyfest and regularly facilitates at other writers festivals and literary events. Lauren Chater writes historical fiction with a particular focus on women’s stories. The Lace Weaver is her first novel, and she is currently working on her second, Gulliver’s Wife. Her blog The Well Read Cookie celebrates her love of baking and literature. Michael Robotham has written eight bestselling novels featuring clinical psychologist Joe O'Loughlin, and four standalone thrillers. In 2015 he won the UK's prestigious Crime Writers' Association Gold Dagger Award with his standalone thriller Life or Death. Pamela Cook is the author of four novels including Blackwattle Lake, Essie’s Way, Close to Home and The Crossroads. She hosts the writing podcast Writes4Women & is a proud Writer Ambassador for Room to Read.